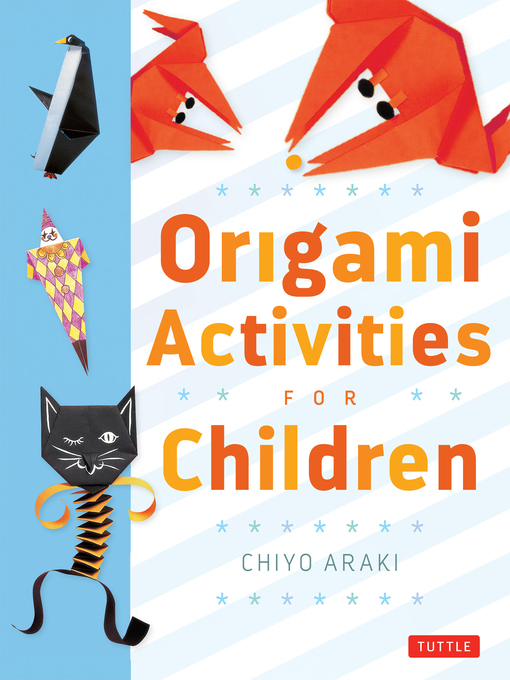 Make simple origami-for-kids projects with this easy origami book. Ideal for home or school use, Origami Activities for Children is a classic origami paper craft book that includes fun projects organized by seasons and U.S. holidays and offers varying levels of difficulty so that every child—from the origami beginner to the experienced paper folder—will find something of interest. Teachers will also find this origami book to be a great help in their classroom. Colorful examples, suggested grade levels, time requirement, and necessary materials have been included as teaching aids. There are a total of 20 fun-to-do projects including three types of boats for Columbus Day, Jack–O–Lanterns for Halloween, Old Saint Nick and much more! Each project has clear step-by-step instructions and fully colored, easy-to-follow diagrams making this affordable origami book a great way to learn origami! Origami brings out the creative and imaginative skills of young children, while requiring only the simplest materials. Kids will love showing their friends and family all their new origami creations. This entry was posted in eBook Friday and tagged crafts, juvenile nonfiction. Bookmark the permalink.